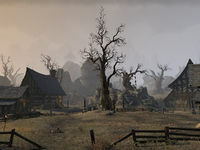 Hinault Farm is a farm in southern Rivenspire, south of Shornhelm. The notes, Healer Heloise's Notes, can be found at this location. Hinault Farm Objective: Assist the Shornhelm Guard at Hinault Farm. This page was last modified on 19 November 2018, at 05:52.